If you are looking for that special gift for a special someone than this sapphire is for you. Golden yellow is the most prized and expensive of the yellow sapphires. Untreated Mogok sapphires with color as good as this one is extremely rare indeed. Bright, Brilliant, Beautiful. Those three words describe this sparkling golden yellow sapphire to the utmost with brilliant brilliance and crystal clear clarity. This is a powerful sapphire with finest clarity and alluring beauty. 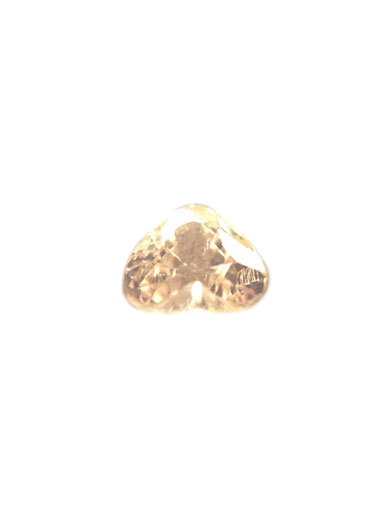 Approximate dimensions as follows; 6mm long x 6mm wide x 3.8mm deep and weighs .88ct. This sapphire comes with an independent lab identification / origin report. Yellow sapphire is said to be most beneficial for authors, writers, barristers, traders and businessmen. The gemstone related to Jupiter is the yellow sapphire which is most beneficial to the natives of the Sagittarius and Pisces signs of the zodiac. Sapphires are said to be perfectly suited to all jewelry purposes and very hard wearing, durable and a versatile gemstone suitable for everyday wearing.